Under Swiss law, the testator has the opportunity to make his/her own arrangements concerning the distribution of his/her assets, in whole or in part, subject to the statutory restrictions provided by articles 470 and 471 CC. The statutory entitlement is, for any issue, three-quarters of their statutory succession rights, for each parent, one-half and, for the surviving spouse or registered partner, one-half as well. A person who is not survived by any such heirs may dispose of his or her entire property by testamentary disposition. The testator can make such arrangements by the means of a Will or of a testamentary contract. Whoever has the capacity of judgement and is at least 18 years old has the right to draw up a Will disposing of his or her property in accordance with the limits and forms prescribed by law. A Will can be established in three different forms, namely the Will drawn up and certified by a notary (Will by public deed), the holographic Will and the oral Will, but only in case of emergency. The testator may revoke the Will at any time. A new Will replaces the former one unless it constitutes, without any doubt, a mere amendment to the previous document. 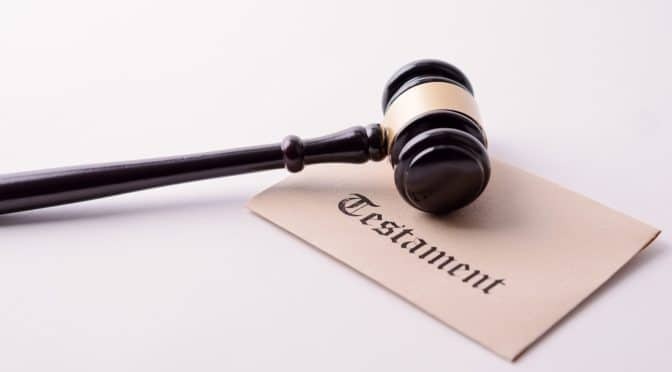 To avoid any risk of uncertainty or misunderstanding, it is clearly preferable to mention in the last Will that all previous testamentary dispositions are revoked. A testamentary contract is an agreement between the testator and one or several contractual parties, with the participation of a notary and two witnesses. The contract must be drawn in the form of a Will by public deed. Their content can vary from one agreement to another (attributive or renunciation agreements, etc.). Such a contract cannot be revoked unilaterally but only with the concourse of all the contracting parties and in the form of a written agreement.